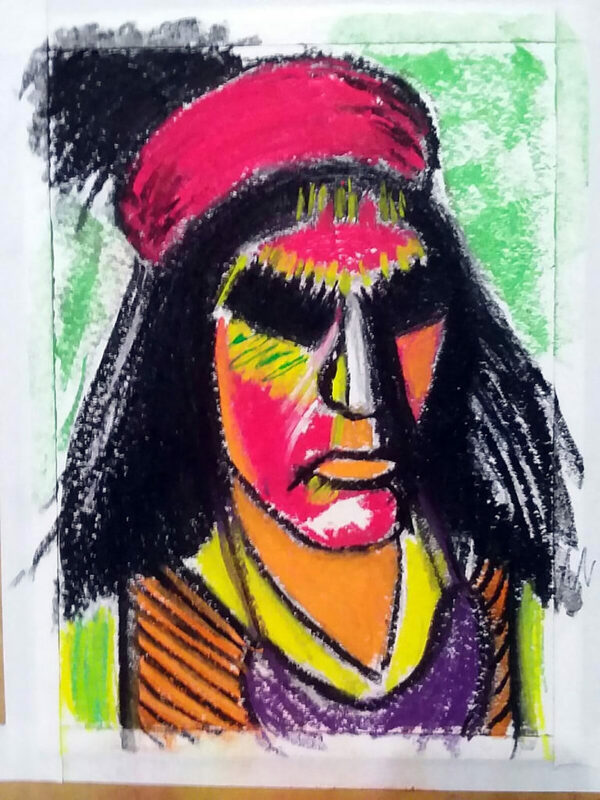 FORT LAUDERDALE — “Seminole Art Scene from the Frontlines,” a full spectrum of contemporary works by multi-generational Native American artists, will open to the public on Sunday, Nov. 11, at Fort Lauderdale Historical Society. Honoring the history of the land now called Fort Lauderdale and the legacy of Seminole Tribe ancestors, the fine art exhibit will be the centerpiece of the history museum’s Native America Heritage Month celebration featuring works from Elgin Jumper, Jimmy Osceola, Jessica Osceola, Gordon Oliver Wareham and Stephanie Hall. It will run through Monday, Jan. 28, 2019. On Sunday, Dec. 2, from 11 a.m.to 3 p.m., guests will have the opportunity to meet the artists, enjoy experimental live readings of historical poetry and prose and purchase works plus view a live art mixed media performance piece by Elgin Jumper and Native American flute player Gordon Oliver Wareham during a VIP event. The artists will also participate in a curatorial panel discussion on the state of the Native American art scene at 2 p.m. Limited tickets for this separate VIP event are $125 each for the public and complimentary to Fort Lauderdale Historical Society members and Seminole Tribe of Florida members. RSVPs are strongly suggested at https://bit.ly/2OiIWXX. For more information about the Fort Lauderdale Historical Society, please call (954) 463-4431 or visit us online at fortlauderdalehistoricalsociety.org and follow us on Facebook at facebook.com/ftlhistory on Instagram @ftlhistory and on Twitter @FLLhistory.